Vbout offers two marketing solutions that support almost any marketing structure used by large organizations, franchises, chains and agencies. The solutions serve marketing campaigns for large, centralized departments or external clients. The first option is a multi-dashboard structure in which each account has its own dashboard and settings for social media, email marketing, domain tracking, behavioral configurations and more. The marketing manager has a master dashboard where they can easily toggle between accounts, monitor changes, manage users and add additional managers with custom permissions. This structure works well for businesses that want to offer their accounts the ability to view their dashboard and manage marketing data, while they maintain top level control of the whole operation. 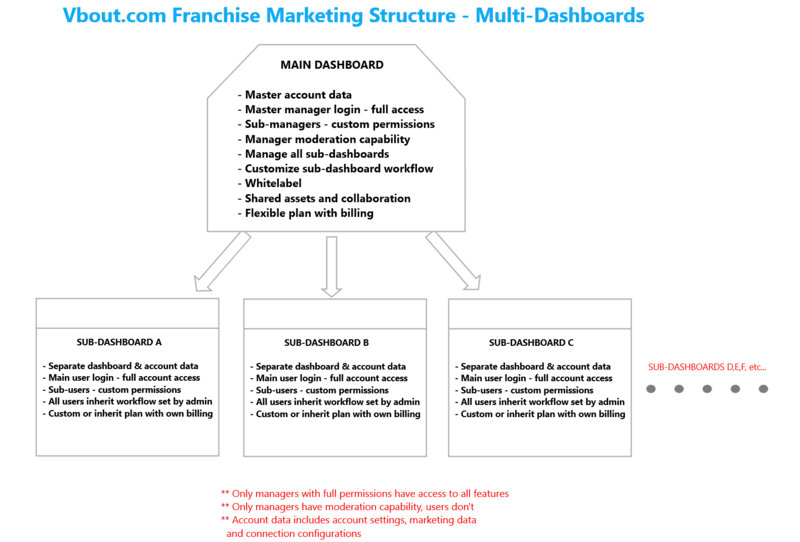 Vbout's second franchise marketing structure is a single dashboard model where all accounts share one main dashboard and account administrators can moderate postings made by users. This structure is a good fit for businesses or corporations with a centralized marketing department that manages the campaigns for individual businesses within the organization. 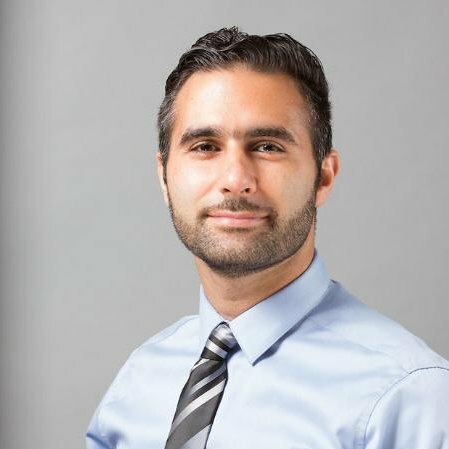 To learn more about how Vbout.com can serve your marketing structure, book a personalized demo with one of our consultants.